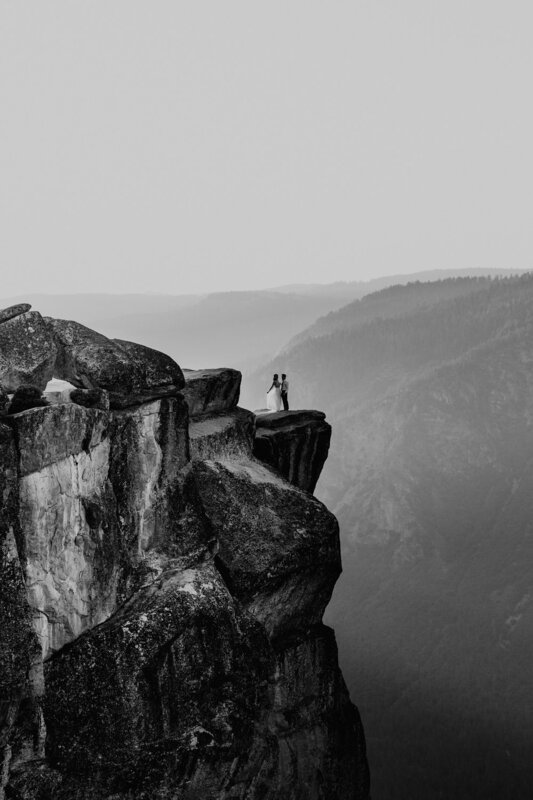 I think I could shoot in Yosemite National Park over and over and over again and never get tired of it, especially if it includes a hike out to Taft Point! 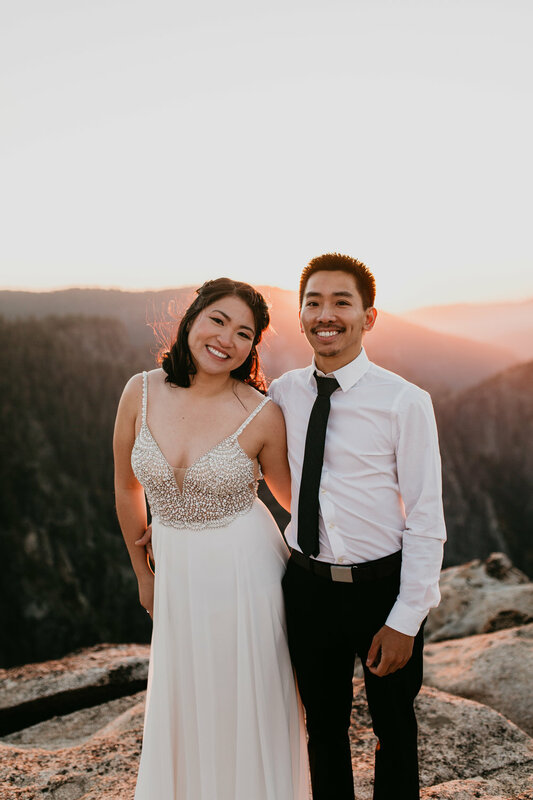 Jen and Bang scheduled an adventure session for their engagement photos this past fall in Yosemite, and as always, Taft Point and Yosemite didn’t disappoint! We met up at tunnel view and spent the afternoon getting some shots in the valley before heading to Taft point. As the sun started to drop, we made our way up Glacier Point Road to get to the trail head and make our way in. It was a Sunday, which meant a few extra people to navigate around, but luckily there is plenty of room at Taft to be able to wander around and explore. Jen put this gorgeous dress on, which highlighted the incredible glow of sunlight we had that evening. These guys took in our location, and I tried to focus on taking images instead of starting at the view with my jaw to the ground. 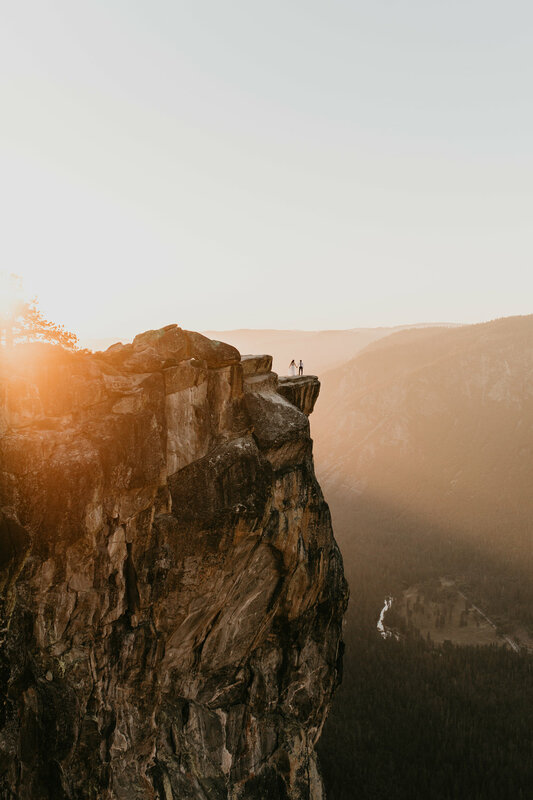 Taft point, Yosemite National Park, and adventure sessions like these will never get old - take a peek through this gallery and you’ll see why! 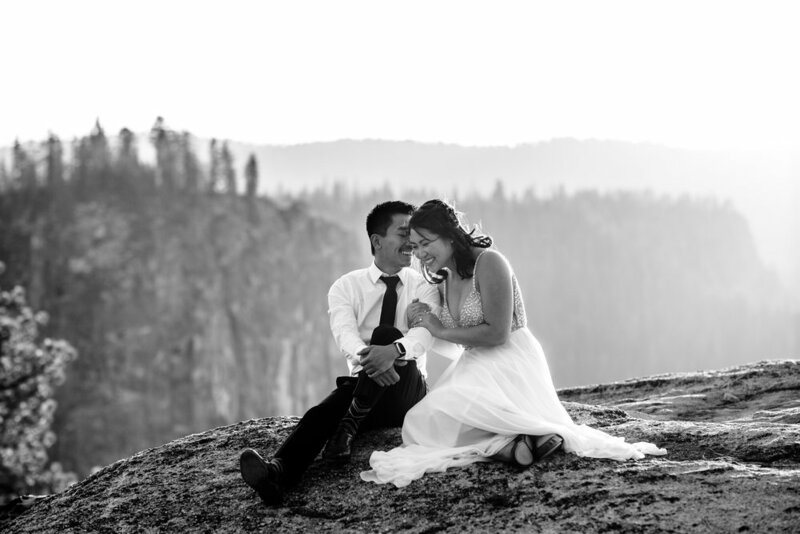 I’ll be back in Yosemite in September and October of this year - if you’re up for an adventure, want to schedule some engagement photos or an adventure elopement, get in touch and let’s start dreaming up the best day ever!